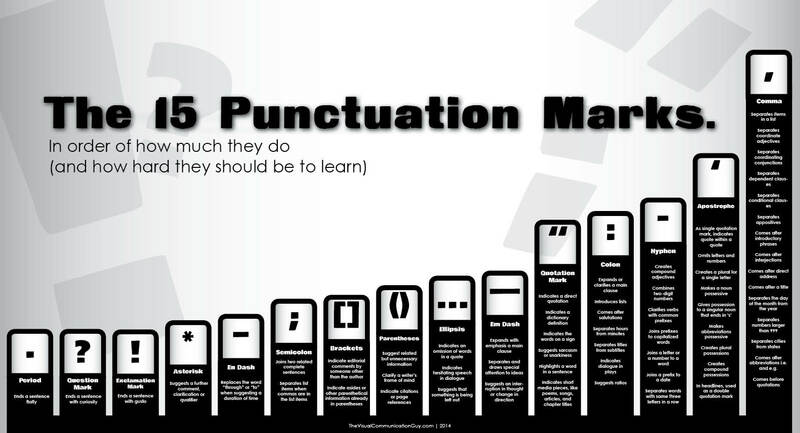 Here’s an useful chart that summarises, very simply, how to use 15 punctuation marks, ordered by difficulty. This was created by Curtis Newbold who runs a blog called The Visual Communication Guy. Nice work, sir.